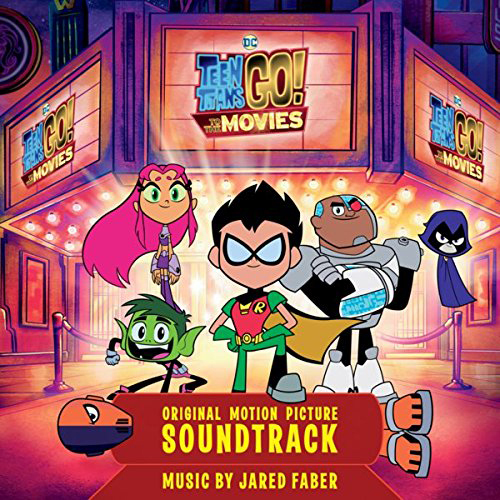 WaterTower Music has announced the release of the soundtrack to Warner Bros. Animation’s Teen Titans GO! to the Movies - the first-ever big-screen version of DC Entertainment and Cartoon Network’s animated TV show that is in theaters now. Teen Titans GO! to the Movies finds our egocentric, wildly satirical Super Heroes in their first feature film extravaganza—a fresh, gleefully clever, kid-appropriately crass and tongue-in-cheek play on the superhero genre, complete with musical numbers. The soundtrack features multiple songs from the film including the new Lil’ Yachty song “Go (Remix)”, Michael Bolton singing on “Upbeat Inspirational Song About Life” plus additional songs and the fun and vibrant score by Jared Faber.